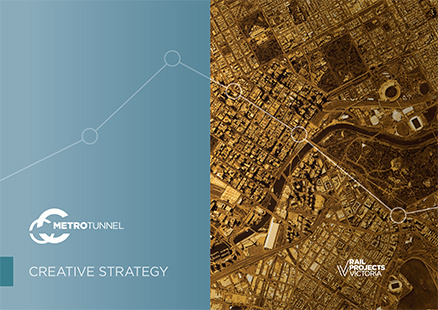 The Metro Tunnel creative program has been designed to support the Metro Tunnel Project’s Creative Strategy. Manage construction impacts – protecting what makes Melbourne great. Maintain the city’s activity and vibrancy – supporting Melbourne’s businesses and residents. Provide opportunities for local creative practitioners, artists and communities during the construction phase as we strive to manage disruption from the construction of the Metro Tunnel. Imagine the city as a laboratory – trialling new ideas and engaging with the project as it develops.